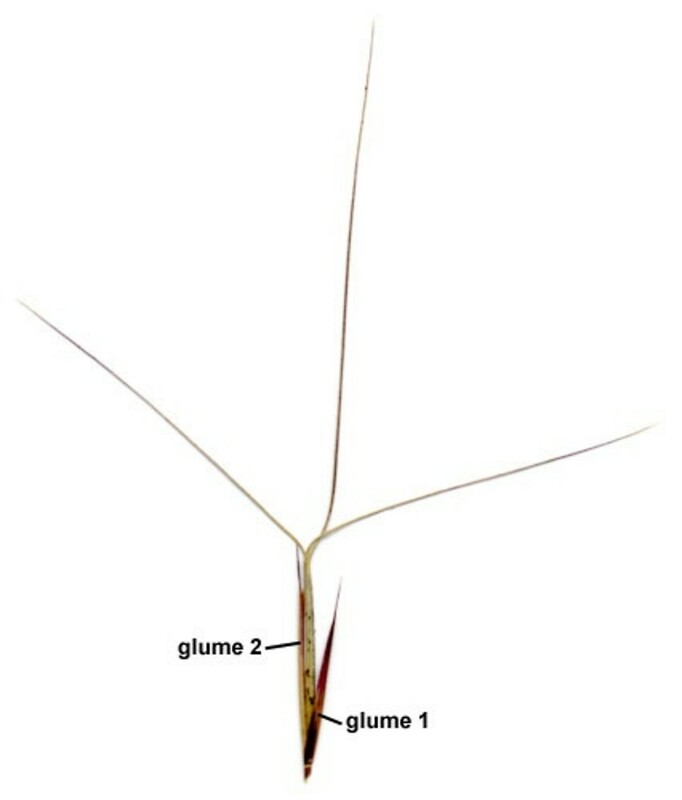 Aristida longespica. Anna Gardner.Iowa State University.www.eeob.iastate.edu.research.iowagrasses.index.html (Accessed 5/2014). Aristida longespica is an annual C4 grass, 20-50 cm tall, in small, loose tufts, branching from lower nodes. Leaves alternate, blades 4-8 cm long, 0.1-0.2 cm wide. Flower spikelets 1-flowered, appressed; glumes almost equal 0.2-1.1 cm, lemma 0.3-1 cm, 3-awned, central awn 0.1-1 cm, lateral awns shorter, divergent; inflorescence up to half the height of the plant, very slender, spike-like; blooming and fruiting Aug.-Oct.
Habitat: Dry open sandy soil.